Following constructor’s finishes for the last seven seasons in last place, followed by very few points and needing pay drivers just to keep their team afloat, Manor Racing on Friday closed its doors, unable to participate in this upcoming formula one world championship for 2017. Just Racing Services, the company which owned the team, entered administration earlier this month, and was given only until January 31st to find a new buyer for the team. But failing to do this, even with a few days remaining, caused the team to joined HRT, Caterham and USF1, who closed down their doors due to the high costs of the sport. In a statement from FRP advisory, which had still interested parties in the deal, issued a statement saying that the team officially had ceased trading. “During recent months, the senior management team have worked tirelessly to bring new investment to the team to secure its long term future, but regrettably were been unable to do so within the time available and were left with no alternative but to place JRSL into administration to protect the best interests of the underlying businesses and in order to continue a search for a buyer,” the statement said. Geoff Rowley, the administrator at FRP added that the group faced a very limited time to find a buyer. 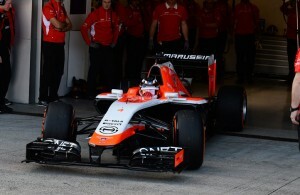 The team first encountered problems in 2014, when it was known as Marussia, missing the final three races of that season, owing over 50 million dollars in debt. It exited administration the following year, rebranded as Manor. The team failed to achieve one point last season, being defeated by Sauber when the Swiss team scored one point in Brazil. Team owner at the time Steven Fitzpatrick, began stories that the was trying to sell the team and was talking to potential buyers.